Many non-profits, particularly smaller charities and start-ups, operate without a fundraising plan. When someone has an idea for an event or a campaign, these organizations simply put together a host committee or volunteer group and go for it. They may send out a letter here and there, and do some donor meetings, and when the bank account seems to be low, they often go into “panic mode” and race around trying to find cash to keep the doors open. This is definitely not the best way to run your development program. Even if your non-profit is flush with cash, running an un-organized and un-planned fundraising operation is a recipe for stress, headaches, and ultimately… financial ruin. So, how do you avoid this fate? 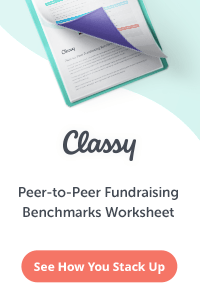 The best way is by having a written fundraising plan. 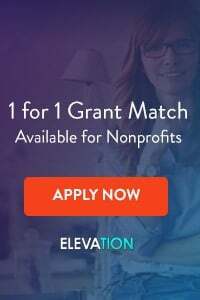 No matter how small your church, school, or charity is, or how far along you are into your operations, your group needs a comprehensive, well-written fundraising plan. A written plan will allow you to focus your efforts, plan out your yearly fundraising calendar, and give you guidance on strategy and tactics when you are in the thick of events, mailings, and calls. In short, your fundraising plan will keep you sane in the insane day-to-day world of the development office. The first questions you need to answer are: who should write your plan, and when should they write it? I’ll answer the second question first… When should you write your plan? How about now! Seriously – if you are operating without a plan, it is worth your time to sit down for a week and write your plan. Ideally, you’ll write a plan every year, or will write a 2, 3 or 5 year plan and tweak it at the beginning of every year. As for who should write your plan, if you’ve got a development staff (like a development director), they should write the plan, in consultation with your charity’s CEO or Executive Director (E.D.) as well as the board. If you don’t have a development staff, then it is probably best for the E.D. or head person to write the plan, again, in consultation with the non-profit’s board of directors. You can also seek help from a qualified development consultant, many of whom specialize in writing fundraising plans. O.k., you know you need to write a plan, you know who is going to write it, and that person has consulted with all of the appropriate stakeholders and is ready to write. What needs to be part of the plan? The best starting point for your plan is with the end point in mind: what is your overall fundraising goal? (Even better: what is your overall fundraising goal for this year, and for each of the next four years?). This number should not be drawn out of thin air. It should be based on the needs of the organization. How much money will your group need to raise in order to carry out the activities that you want to carry out? If the goal answers the question, “How much money do you need?” then the mission answers the question, “Why do you need it?” What is your organization’s mission? What do you plan to do with the money you raise? What is your operating budget, and why is it the amount it is? Individual Giving – Asking major donors to make gifts to your organization. Major Donor Groups – May include board giving, a finance or development committee, etc. Events – Both large and small. Minor Donor Groups – Yes, they do exist! 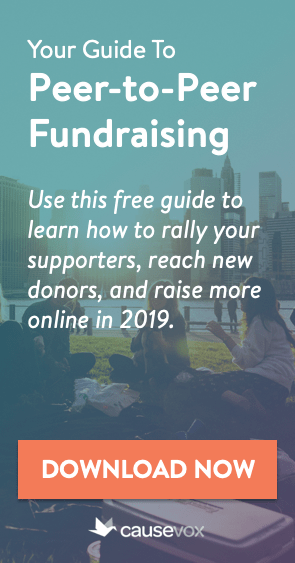 When it comes to tactics, there are no shortage of ways to raise money, only a limited amount of staff and volunteer resources to implement your ideas. Try to include a good mix of fundraising tactics, and be willing to nix ideas that end up not working, and make up the lost revenue elsewhere. Many organizations stumble here – they come up with a solid budget, have a great mission, and draw up a plan that includes a solid group of fundraising tactics, but fail to set timelines, and thus never seem to get things done. Some development pros like plans that have only basic timelines: Hold an event in April, send out a mailing in September, run a board giving campaign in November. I actually prefer far more detailed timelines that list not only big picture goals, but also all of the small goals that go into making that big goal a reality (a management consultant might call this a “critical path.”) For example, instead of just listing that we’re having an event in April, I would also list when decisions on venue and entertainment need to be made, when sponsors will be solicited, when invitations will go out, etc. Whichever type of timeline you include, include one… it will force you to think critically through your fundraising decisions, and provide invaluable guidance on your activities as the year progresses. Want a step-by-step guide for writing a fundraising plan that works? Check out our webinar How to Write a Successful Non-Profit Fundraising Plan. Very interesting article. I am particularly interested that I do not feel isolated in my thoughts on the board as donors because I feel that unless you are a donor yourself how are you able to ask someone else for money! Very helpful to a fundraising newbie such as myself. I wanted to order the free book “How to Hold Great Fundraising Events” but appears to be only available in the US, is that correct? I’ve just been nominated the coordinator of our local church fundraising committee and I have no experience in this field but do have some ideas about starting up a fundraising committee, and that we should have a plan to start with. I need some advice on how to draw up a plan and will appreciate any suggestions. Thanks for your question. If you’re writing a campaign plan for a specific project, it would probably not need to be as in-depth, but you would have the added burden of making sure that the program funding plan fits in well with the overall organizational fundraising strategy and case for support. I would recommend, however, that you still include the 4 major components that we mention in this article for your project funding plan.